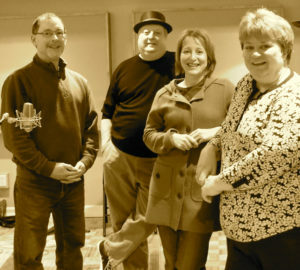 Cuppa Joe was inspired by the sounds of The Manhattan Transfer and tunes like Java Jive. Our jazz-based repertoire includes a variety of their arrangements, along with those of New York Voices and other close harmony groups, and is augmented by songs of popular artists like James Taylor and The Beatles. Musically diverse, but with common backgrounds in piano and vocals, John Wilson (founder and tenor) is joined by Cathy Thompson (soprano), Mary Moore (alto) and Peter Feldman (baritone). Popular performance venues for the quartet have included Gaia Java, Zolas, Pressed and Café British, along with a variety of private concerts. Warm reception and praise have greeted Cuppa Joe, with testimonials from local musicians and restaurateurs. Cathy’s love for music began at a young age while listening to her father magically play piano by ear. Throughout her career as a French-Immersion teacher, she conducted choirs and was involved in many other musical activities. 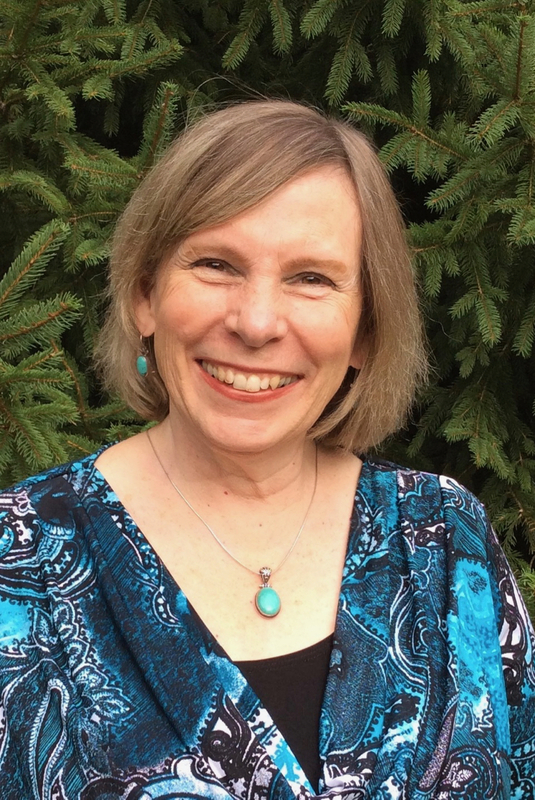 Cathy teaches music to young children using the Orff holistic approach to music education. She is a long-time member and section leader of the Capital Chordettes women’s barbershop a cappella chorus, and part of a septet within the chorus. 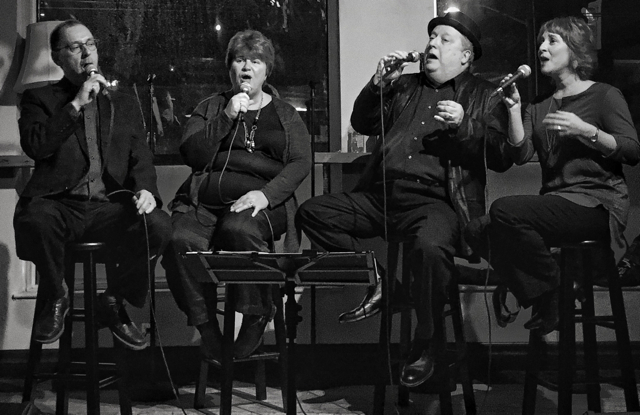 Cathy is thrilled to venture into the world of vocal jazz with Cuppa Joe. 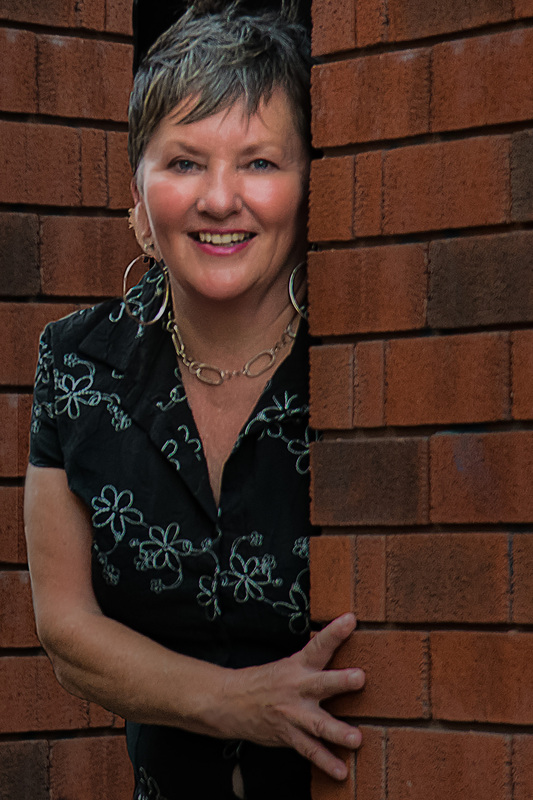 From Ottawa, Mary now lives in Spencerville, Ontario, where she is an artist, illustrator and graphic designer. Her musical background includes church, community and jazz choirs; folk; old-timey music; and blues. 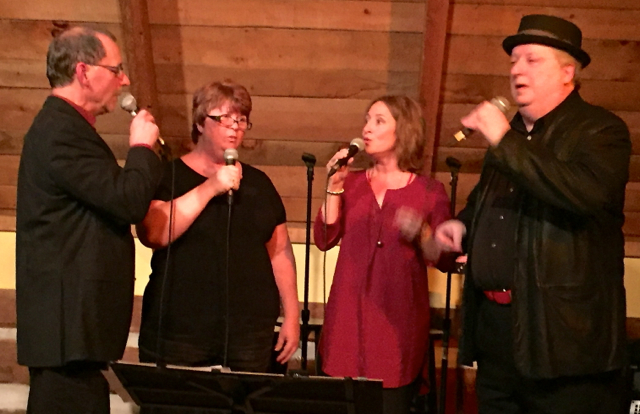 Mary’s jazz singing began with Souper Jazz, raising money for the Shepherds of Good Hope. She sings in various jazz collaborations and choirs, including the Village Voyces chamber choir. With harmony singing being her favourite, Mary is eagerly working hard to meet this latest musical challenge with Cuppa Joe, and enjoying every minute! A New Brunswick native, John is an electrical and software engineer. He studied classical piano, played trumpet in the school band, and sang tenor in school choirs and musicals. John became a jazz fan during university, when one of the University of New Brunswick resident musicians invited her brother Phil Nimmons and his friend Oscar Peterson to play a summer concert combining classical and jazz genres. 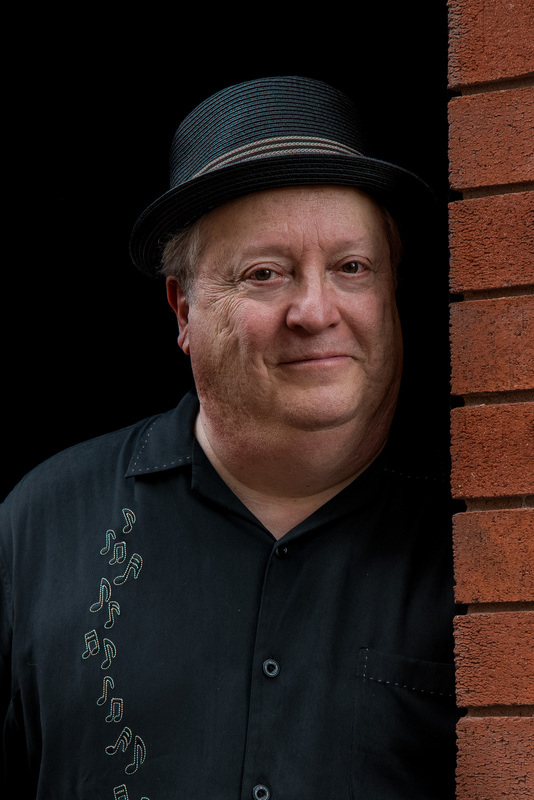 John’s participated in numerous jazz masterclasses and workshops; and after singing in a jazz choir for several years, he formed the basis of today’s Cuppa Joe in 2008. Peter joined Cuppa Joe in May 2014. 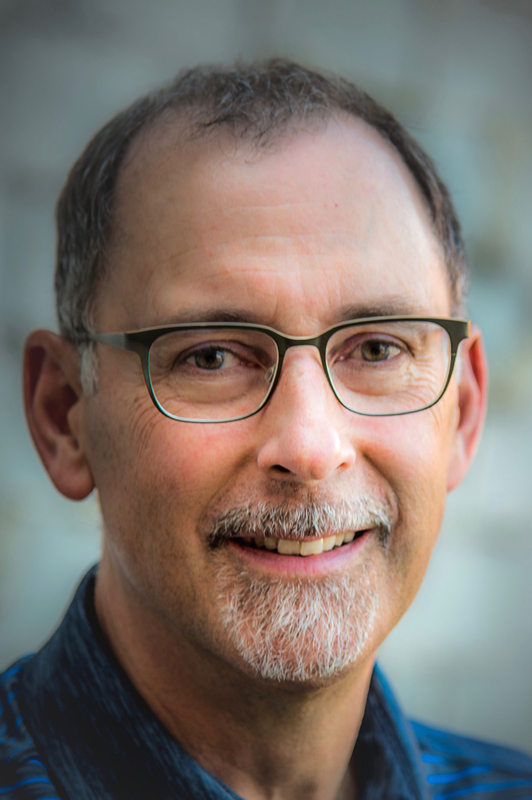 A native of Massachusetts who has lived in Canada since 1971, Peter has been involved professionally in the performing arts for over 40 years as an actor, director, technician, presenter and administrator. He has presented many jazz giants, including Sarah Vaughan, Dave Brubeck, Dizzy Gillespie and Betty Carter. He fell in love with close-harmony singing as a member of the University of Rochester Yellowjackets, and is grateful for another opportunity to practice it at his shockingly advanced age. As with many bands, we have former members who have played with us; in our case, some for two years, and some for more than five years. They’ve joined and left according to their artistic direction and the pressures of other activities in their lives, be they work, family and/or other past-times, including re-locating to other cities! But we have had a lot of fun with everyone who has spent time singing with us, and we thank them — our alumni friends — for what they have contributed to Cuppa Joe.